If you look hard enough you might be able to recycle those old appliances, and they will likely be reconditioned and find a good home in a household less privileged than yours, or broken down into their reusable parts and used to help rejuvenate other salvageable units. 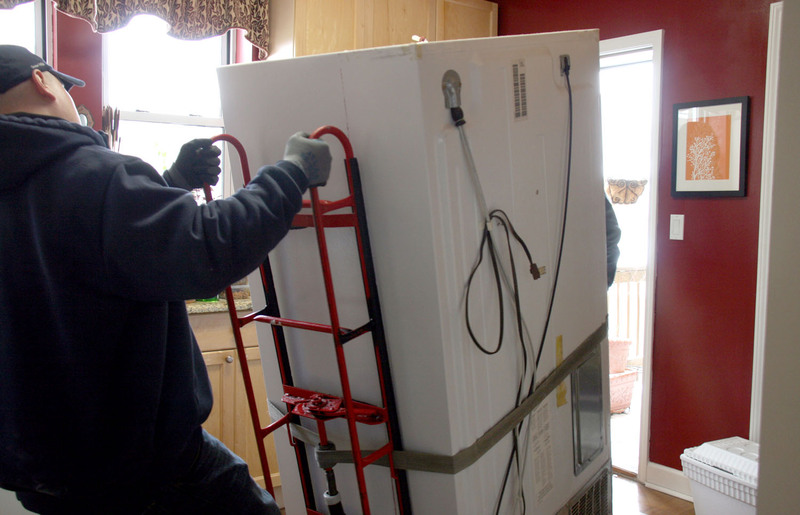 The first place to check is with your utility, which would like to see you upgrade to a more energy efficient new model—an older fridge uses upwards of three times the energy of most newer models. Utilities in 10 U.S. states and in Ontario, Canada offer some kind of rebate and free pick-up if you do decide you want to upgrade in partnership with a company called Appliance Recycling Centers of America, Inc. (ARCA), which oversees the appliance recycling process. ARCA’s system can prevent up to 95 percent of the recyclable materials in old refrigerators and freezers from entering the waste stream. Check with your utility to see if they participate in ARCA’s program or perhaps offer one of their own. For example, Puget Sound Energy in the Seattle area works with ARCA to offer customers free pick-up of old appliances for recycling and a $30 rebate on their next bill. One caveat is the appliances must be operational, even if not working at full capacity. If your utility doesn’t participate in ARCA’s network or have its own appliance recycling program, maybe your municipality recycles appliances, although it’ll likely cost you $30 or more. Some will even send a truck for pickup for an additional fee. But what if neither option is available in your area? Check out the non-profit website Earth911.org, a free online database of recyclers for anything imaginable across the U.S. Search for the keyword “appliance” and enter in your zip code. You will likely find more than one option within driving distance, but don’t be surprised if, like with a municipality, you have to pay not only to recycle your poor old broken down fridge but also for pickup if you need it. If the appliance is still working, another alternative would be to donate it to a worthy cause which can either find it a good home with a needy family or sell it and put the proceeds into its programs. The housing non-profit Habitat for Humanity runs Habitat ReStores to resell donated goods in 48 U.S. states and nine Canadian provinces. Appliances as well as donated furniture, home accessories and building materials are sold to the general public at a fraction of the retail price to help local affiliates fund the construction of Habitat for Humanity homes within their communities while simultaneously keeping reusable appliances and other materials out of the waste stream. The Salvation Army, St. Vincent de Paul and the American Council of the Blind also may take donated appliances in working order. CONTACTS: ARCA Inc., www.arcainc.com; Puget Sound Energy, www.pse.com; Earth911, www.earth911.org; Habitat for Humanity, www.habitat.org; Salvation Army, www.salvationarmy.org; St. Vincent de Paul, www.svdpusa.org; American Council of the Blind, www.acb.org. Climate Change: Will Carbon Tax Unite ExxonMobil and Its Critics? Will More Electric Cars Increase Reliance on Coal?